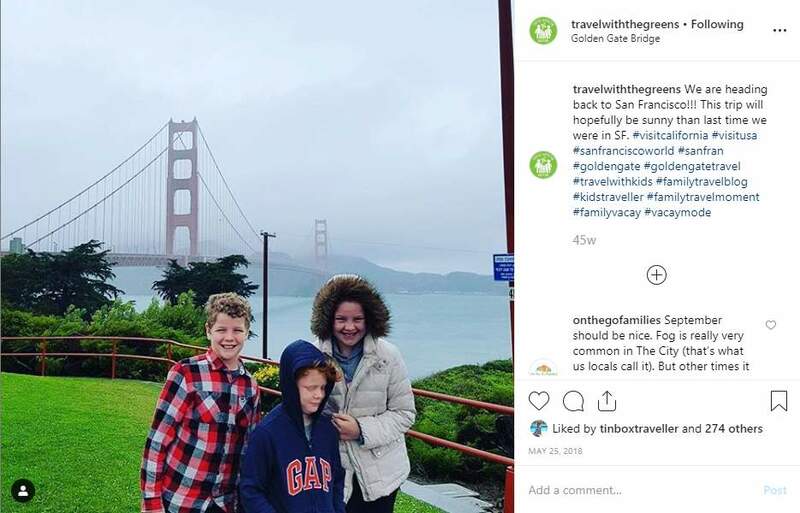 Working with influencers can propel a travel campaign forward and help your company reach its audience more effectively. But when you pick an influencer to work with, you are aligning their brand with your own, this is why it's incredibly important to choose the right individuals to work with. This can mean selecting influencers is a daunting prospect, especially if you have little or no experience of working in this way. One of the biggest mistakes that first-timers make is not doing enough research into influencers before choosing who to work with. Our Smarter Instagram marketing guide will help you tap into the consumer activity on Instagram to use it to grow your business. It’s simply not enough to select the individual with the biggest following, as this may not be all that it appears. If an account has a large number of fake or unengaged followers, they are unlikely to be influenced to purchase your product and the whole point of working with influencers in the first place will have been lost. In reality, the travel sector has a vast number of influencers, so there is a very large pool to pick from. What this also means is the right influencer for your brand is out there, you just need to find them and that involves putting in the hours. Brands who understand influencer marketing and how to get the most out of such campaigns can see impressive results. Recent research has shown that some companies are getting as much as $18 in earned media value for every $1 spent. Even those who are still getting used to this way of marketing their brands can get a return of $5.20 per $1. Despite this, there are still some companies that aren’t hitting the mark, with 25% of businesses breaking even or losing money on their influencer campaigns. More and more companies are realizing the potential of influencer campaigns, but it’s not enough just to roll one out, it has to be the right one. A brand will be judged on the individuals it chooses to work with, making reputational damage a prominent concern. Just as your business knows its audience, an influencer should have a clear idea of who their content is aimed at. These two demographics must align, otherwise, there’s no point in having a creative and inspiring campaign that’s reaching people who are not going to be interested in your product or service. When considering influencers to work with, check that their previous posts are consistent. Ask yourself whether your brand would seamlessly slide into the grid/timeline of this social media profile, as any jarring will instantly be spotted as inauthentic by the audience you are trying to reach. It would be remiss not look at the number of followers an influencer has before working with them, but it’s the engagement metrics that are more important. An Instagram profile with 100k+ followers may look impressive, but this is not always a reflection of how influential they actually are. Sometimes, accounts with smaller follower numbers can have a bigger impact when it comes to conversions and sales. Micro influencers often have much more engagement with their audiences and are, therefore, more likely to be trusted when recommending products. Remember, the travel industry is incredibly broad and your product or service is likely to appeal to a specific section of it. 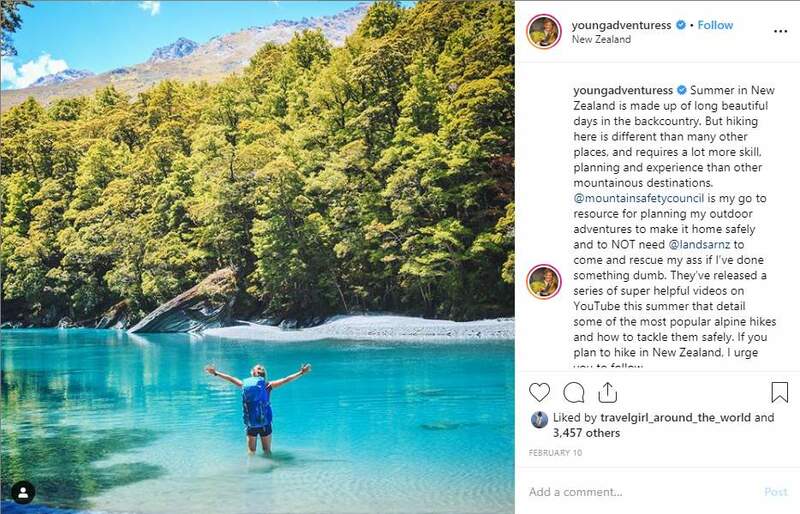 Utilizing the services of a generic travel influencer means just a small number of those thousands of followers will find it relevant. Influencers who have developed their niche and built up their following based on it can prove far more lucrative. This means that even if there are fewer of them, your product will be relevant to a higher proportion and is, therefore, much more likely to lead to sales. For products that have wide-ranging appeal, it’s worth working with a number of different influencers that specialize in a variety of travel types. This means they will be able to make content that is suited to their specific audience, helping you to be more targeted in your marketing efforts. Negotiations with travel influencers should make it clear exactly what you expect to get out of the collaboration. Some social media figures will post one or two well-styled pictures to Instagram, but this is not the definition of a campaign. The most effective influencer campaigns have a number of layers to them, with carefully crafted content that informs and inspires the audience. This means working with an individual who is active across a number of platforms, with the skills to enhance a campaign, not just take a polished picture in a statement outfit. The stunning shot of an influencer in a carefully chosen outfit and tropical destination as a backdrop has become ubiquitous. So much so that audiences are becoming immune to it and they do not feel like they can relate to the individual who appears to be living the dream lifestyle. It takes a lot more to stand out and the best way to do this can be to offer a glimpse of reality or vulnerability. For example, if you’re looking to sell family-friendly holidays to a mum or dad with two lively kids, images of perfectly-behaved children looking like they’ve stepped out of a catalogue are not going to be relatable to them. There has been a huge surge in parenting bloggers in recent years and the most successful ones are those that show the less glamorous sides of family life. Your audience does not want to be presented with an unachievable image of perfection, but one they can easily see themselves fitting into. Travel marketing has traditionally always sold dreams to customers, but they must not be entirely out of reach. Social media users are looking for integrity, as well as a connection, so be sure to pick the influencer that can deliver in these areas. Choosing the right influencer can lead to impressive results for your travel marketing campaign, but it’s important to look beyond impressive follower figures. Track down the right individual, whose brand aligns with yours and can deliver across multiple platforms for your company. Influencers are trusted by millions of consumers, and marketers leverage their persuasiveness to engage customers For most people, modern life is unimaginable without social media. With brands vying for the maximum number of views, social media has become the go-to …..